Watch: Debora helps women laugh, connect with God, and kiss stress goodbye! Bring the Too Blessed to be Stressed Experience to your church! Debora would be delighted to bring her fresh, new voice to help your ladies decom-stress, relax, blow off some steam, remember how to laugh, and above all, focus on God. Which of these dynamic options are the best fit for your group? Teach the attendees some of Deb’s original praise songs, which they’ll absolutely adore! Addresses heart-needs of women worn down by everyday fears – financial, health, relationships, loss, pain, the unknown and the what-ifs. In a more serious tone, Debora shares heart-touching real life stories and powerful scripture to help women begin tuning into the Holy Spirit’s guidance in their everyday lives. This is an excellent spiritual growth presentation for a worship service environment. Discovering Papa God’s standard of beauty to help women transform their destructive inner beast into the vibrant beauty they were meant to be. Helping crazy-busy moms reconnect with the joy of the Lord and hear Papa God’s still small voice above blathering kids, howling pets, and snarling traffic. Great for MOPS and young mother groups. Aging grossfully, er, that is … gracefully. Hilarious and worthy of bringing your menopausal peeps to remember how to laugh through life’s changes. If you’d like to see more speaking samples, click here to access the playlist on my Debora M. Coty YouTube channel. If you’re planning a weekend event, contact Debora to customize a package for your group containing 2-3 presentations that fit your theme. 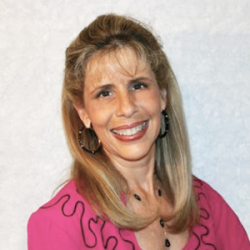 Debora also presents dynamic Writer’s Workshops for children, teens, and adults. Book a workshop today for your school, writers group, homeschool group, or church.